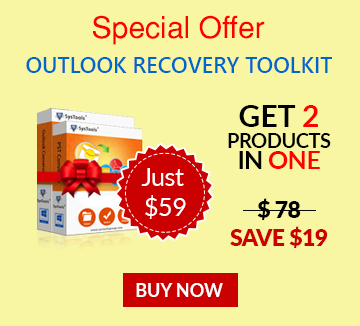 How to Save Outlook Emails as PDF Files? The latest MS Office 2010/2013 applications like MS Word, Power Point and Microsoft Excel provides option to save files in PDF format, but unfortunately this option seems unavailable in MS Outlook application. However, there are certain workarounds through which a user can convert Outlook emails to PDF, such as installing a PDF printer, using the Adobe Acrobat application, Macros and third party add-ins. In this upcoming segment we will discuss in details about different ways to save Outlook messages as PDF format. Adobe Acrobat has the ability to save Outlook emails as PDF format manually; this feature is compatible with all Outlook versions when Adobe Acrobat is installed on the machine of the user. You need to have Adobe Acrobat and MS Outlook both installed and configured properly in the machine. When you have Adobe Acrobat installed on machine in MS Outlook, an option 'Adobe PDF' will be visible in the Outlook menu bar. Save Selected Emails In PDF: Select the message/s you want to save as PDF and right click on it, click on 'Convert to Adobe PDF'. Now provide a name to save the PDF file in the system and click on 'Save', the respective Outlook messages will be saved in PDF format along with embedded attachment. Selected Outlook folders as PDF: In order to save Outlook messages as PDF format, you need to click on a folder and right click; select save as PDF and save it with desired name. All files saved in the respective folder will get saved in PDF format. Also, When users launch a new Outlook email and click on the Adobe PDF tab, then two options are available, i.e. 'Attach as Adobe PDF' and 'Attach as Secured Adobe PDF'. Attach as Adobe PDF option is provided to attach all types of attachments like Word, PowerPoint and Text to be saved in PDF. Attach as Secure PDF means the file will be saved as PDF but protected from being open, copied and printed from another user. Another option to save Outlook files in PDF format is using the VBA macro coding option. 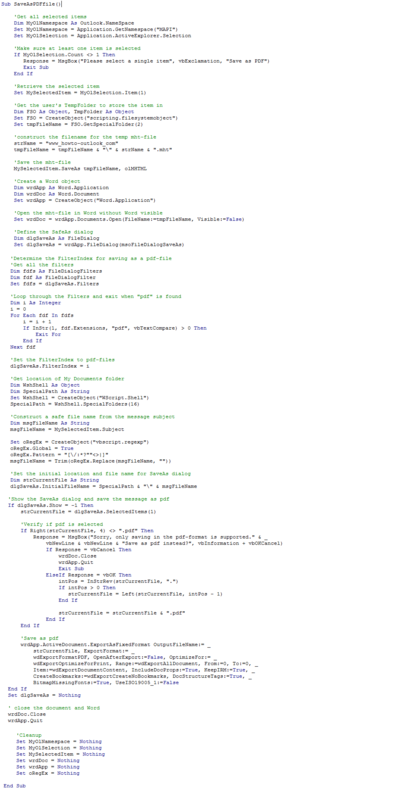 This Macro coding uses Microsoft Word capabilities to save Outlook emails as PDF format. This method suits to those users the most that required, saving Outlook messages in PDF occasionally. A user is required to save the Outlook message in MHT format that can be opened in Word application where the respective message can be further save in PDF format. This method keeps all hyperlinks of Outlook messages in functional mode during conversion into PDF format. Another method to convert Outlook emails to PDF format is using PDF Printers. 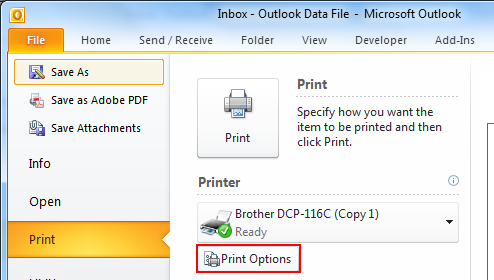 By selecting from the list of printers from your machine instead of printing files on paper you can save Outlook messages as PDF. Some of the popular PDF printers used for this purpose are PDFCreator, CutePDF Writer, Foxit PhantomPDF Express and doPDF etc. Most of them are available at free of cost, but these carry a drawback that fails to maintain hyperlinks within messages after conversion into PDF format. Discussed above are some manual ways to save Outlook emails as PDF format, but each one carries one or another drawback. Likewise installing Adobe Acrobat is not possible for everyone as it costs much from normal budget of the user. Same PDF printer facility fails to maintain hyperlinks and other formatting of emails in PDF format, and Macros needs sound technical knowledge. If you are finding out a reliable, affordable and error free method of converting Outlook messages in PDF format, then, professional help will be beneficial for you. PST to PDF Converter tool is the top notch solution to allow users to convert bulk Outlook PST messages in Adobe PDF format without compromising on the integrity of files. The tool retains formatting, hyperlinks, metadata and attachments in its original form while conversion of data from Outlook to PDF.